When I think of a “mother,” I think of the book, The Giving Tree by Shel Silverstein. I remember reading this story for the first time as an adult to my daughter when she was probably around four years old. Not even halfway through the book, I started crying like a baby. The funny thing is that my poor daughter started crying for the “tree” also. The more I kept trying to read, the harder we both sobbed. And I will always remember sharing this moment with my daughter. 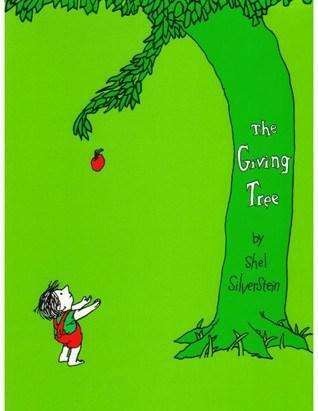 Ok, I know to many of you, this may sound crazy, but the story of The Giving Tree truly touched my heart. Basically, the boy in the story keeps going to the tree and takes from the tree whatever he can at different stages of his life. By the end of the story, the tree is nothing more than a stump on the ground since she had given every bit of her to the boy throughout his life. So why do I bring up this story? The tree symbolizes a “mother.” I’ve been fortunate enough to not only experience being a daughter, but also being a mother. Although nobody gave us the rules on how to be a perfect mom, I know that like that tree, a mother would give up anything and everything for her child. My mom was always the “giver.” Until this day, she continues to give to her children and her grandchildren. She’ll cook us delicious Indian meals, listen to our problems, go for walks with her grandchildren, buy gifts for her family- the list is endless. If one of us is hurting, she’s hurting. If we’re happy, she’s happy. It’s quite remarkable how a mother’s intuitions work. Many of you may be mothers yourselves. I’m sure you can relate that nothing replaces the love you feel for your children. My babies (9 year old, 16 year old, and 18 year old) are my whole world. Yes they’re much older now, but they’ll always be my babies. And I can honestly say that I would die for them. So today, I want you to go tell your “giving tree” how much you love her and how much you appreciate her for all the sacrifices she has made for you. And I salute all you wonderful mothers out there. You guys make this world go round. Happy Mother’s Day! Posted on May 9, 2014, in Uncategorized and tagged happy mother's day, mother, the giving tree. Bookmark the permalink. 4 Comments. Very nice post, Jalpa. Exactly how a true and good mother is. I miss my Mom very much. You have a great Mother’s Day. Awww such a sweet post for Mother’s Day. Mother’s are one of a kind to each of us and so special! Hope you had a wonderful day!